Consumers are smartly using personal loans to reach their financial goals, yet who exactly utilizes personal loans may surprise you. A recent survey commissioned by Discover Personal Loans and conducted by independent research firm Rasmussen Reports shows that personal loans are primarily used by financially responsible individuals as a strategy to reach their financial goals. 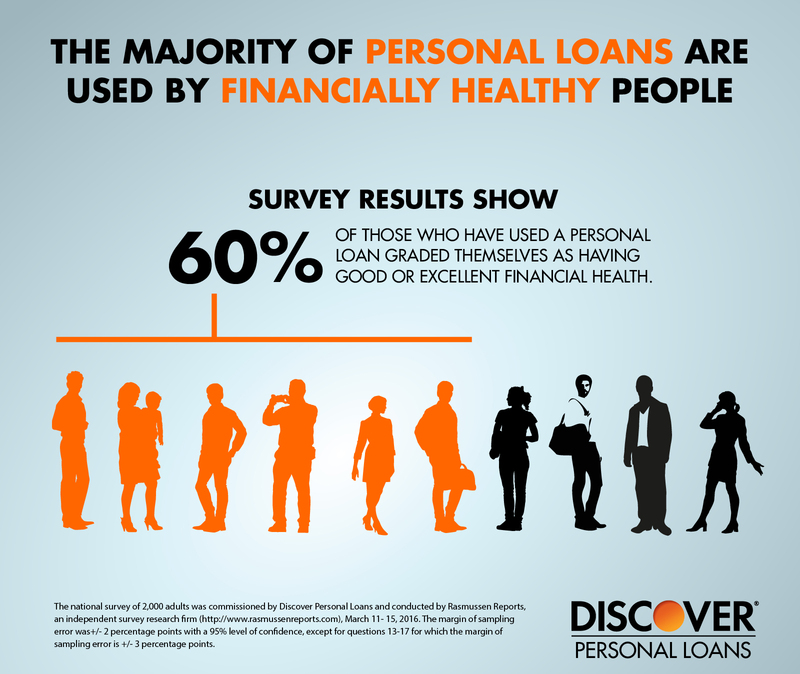 Out of 2,000 respondents, 60 percent of those who have used a personal loan graded themselves as having good or excellent financial health. So how are these people utilizing personal loans? In each of the above areas, a personal loan could allow you to achieve your goal in the here and now, like planning your dream honeymoon, while making fixed monthly payments over time. An added benefit is that you’ll know exactly when and how much your payment will be every month. Fixed rates are important for financially healthy individuals because they allow you to plan ahead and account for the regular payment within your budget. This can be key for budgeting, especially when your goal is eliminating higher-interest debt. When consolidating credit card debt, for example, many consumers know a personal loan simply makes sense. Ask yourself: If the combined interest rate on your credit cards is higher than a personal loan, then why wouldn’t you consolidate into a personal loan to save money? With loan amounts starting at $2,500 up to $35,000 and fixed APRs (annual percentage rates) starting at 6.99% up to 24.99%, it may be possible to save hundreds or even thousands of dollars by consolidating to one personal loan as opposed to multiple higher-interests debts. Once consumers experience how beneficial personal loans can be, they are often likely to use the same strategy to reach their goals in the future. More than half of those with excellent or good financial health are somewhat or very interested in using a personal loan in the future according to the survey. And perhaps consumers do get smarter with age! Fifty-four percent of Baby Boomers (ages 55 and older) have used personal loans while just 36 percent of Millennials (ages 18 to 34), according to the survey. Forty-nine percent of Gen Xers (ages 35-54) have used personal loans as well. Overall, 78 percent of adults surveyed said they chose a personal loan based on the interest rate or trustworthiness of the lender. Financially healthy individuals select trustworthy lenders in part because they don’t like finding out about hidden, unexpected fees. Unfortunately, other lenders may include those fees that add up significantly over the course of the loan. Discover Personal Loans, for example, does not charge origination fees, closing costs, or any other fees as long as you pay on time. To learn more about the Rasmussen Report survey results, read the full release here. Are you a financially responsible individual looking for a trustworthy personal loan provider? 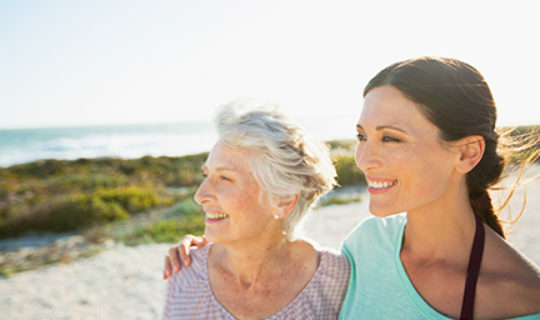 See what Discover Personal Loans has to offer you.